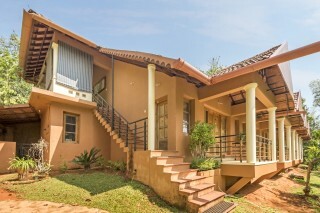 This is an offering of a private room in a bed and breakfast accommodation that can accommodate up to three guests. 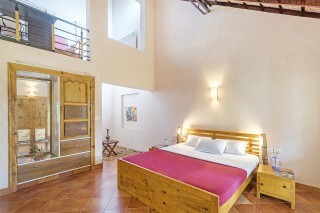 Amenities such as hot water, doctor-on-call, and caretaker are offered, so that you can enjoy a comfortable stay. Your Space Punctuated by luxuriant greenery, this homely abode has a muted orange façade that lends the house a cheerful touch. 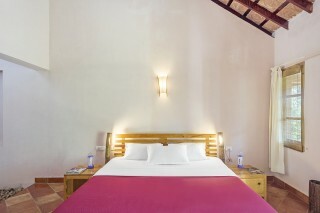 The property has a well-tended garden that has a hammock, so that you can comfortably lounge. The wraparound porch area is appointed with cane chairs, which makes for the perfect place to read a book. 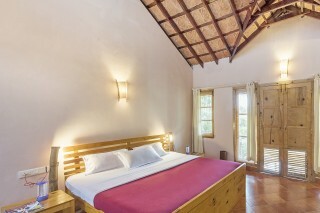 The room on offer is well-lit and furnished with a comfy double bed with bedside tables, a cabinet that doubles up as a dresser, and a storage unit. 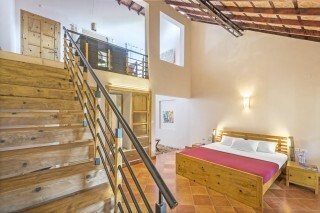 A staircase leads to the sitting area furnished with comfy chairs, a study table, and a refrigerator. The well-appointed balcony offers a lovely view of the lush green tree tops. The bathroom is spacious and fitted with contemporary sanitary ware. Places to visit - Pookot Lake (Kalpetta) - 8.6 km. Lakkidi View Point (Kalpetta) - 12.0 km. Jain Temple Wayanad (Kalpetta) - 13.3 km. Puliyarmala Jain Temple (Kalpetta) - 13.3 km. Banasura Sagar Dam (Vythiri) - 18.0 km. Banasura Hill (Kalpetta) - 26.7 km. Kanthanpara Waterfall (Kalpetta) - 28.7 km. Wayanad Heritage Museum (Ambalavayal Heritage Museum) (Sultan Battery) - 30.2 km. 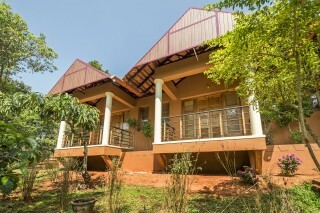 This is a home stay equipped with all the modern facilities and has spacious rooms and lounge area. 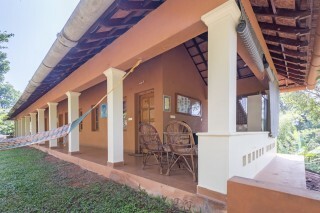 The cottage is located amidst lush green plantation and is aesthetically designed for a comfortable stay. You get an amazing panoramic view when you sit outside your room’s balcony. The host is quite friendly and a great conversationalist, you can seek his help if you need any. However, house rules do not allow consumption of non-vegetarian food or alcoholic beverages. 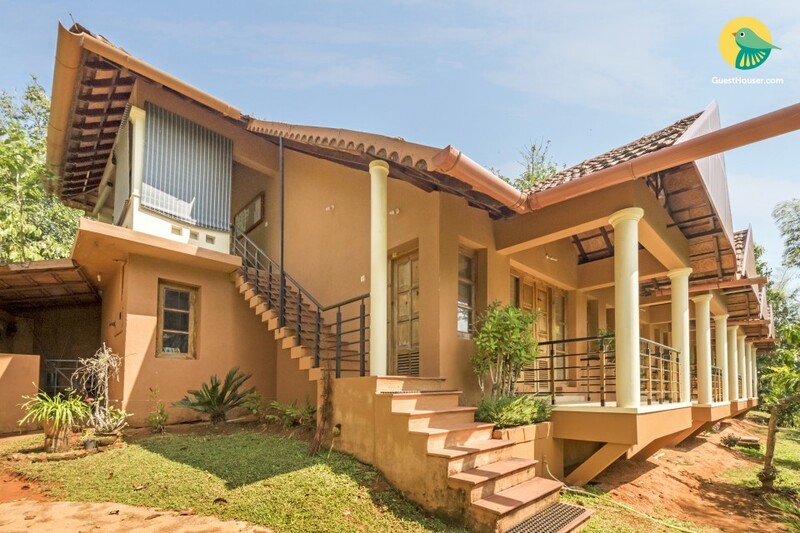 This place is best suited for travelers who wish to live in harmony with nature and there are various scenic spots around the property. Kozhikode Railway Station - 69.5 km. Calicut International Airport - 81.0 km. Pozhuthana Bus Stop - 900 m.